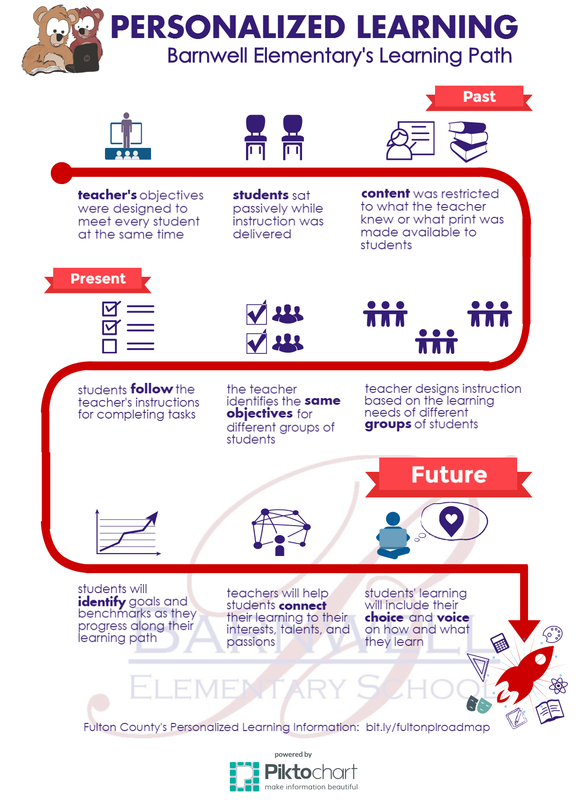 Our vision behind the following infographic was to show a progression. We wanted to emphasize that the work we are doing in the present isn't "bad". Compared to what we used to do in the past, it is a very effective model. However we know that we still have areas in which we want to grow. Setting a goal for moving towards a personalized learning environment provides us with the opportunity to continue to grow in the work that we do alongside children.